Consider your own buying habits; have you ever immediately bought a product after learning about it? If you are like most people in Riverside, CA., probably not. Marketing and psychology research abounds with data that suggest that many products or services require a certain frequency of exposure to build trust in the product. This article will dig into this marketing enigma and help you to understand the facts about frequency when advertising your business. Third Time’s Charm in Riverside, CA. As you can see, there is some thinking that needs to go into how successful an advertisement will be. This should be a serious conversation between you and the agency you are working in Riverside, CA. to help spread your message. So many customers have not been educated on this psychological principle and therefore feel that a potential customer only needs to see their advertisement ONCE for the phone to start ringing. (wouldn’t that be great?) The end result is an advertising client that gives that form of advertising a bad name, saying the service didn’t work; when in reality it might have been that they didn’t use it long enough for it to be effective. The frequency of an advertisement in Riverside, CA., goes into building a trust for familiarity with the product or service. The more you see it the more you trust it, even if you don’t realize it. Multiple marketing research studies have been performed that show when potential customers were exposed to advertisements numerous times, they felt compelled to buy the product at the store. When interviewed as to why they purchase that product they said: “they trusted the name”, even though they had never used that product or heard the name previously before the advertisements. Becoming a household name like Walmart, Lowe’s, Home Depot, Starbucks, Amazon and McDonald’s didn’t develop from them having the highest quality products or best service… but rather the frequency of their advertisements provided a compulsion of trust that made them a household name. Previously discussed in our branding articles, Sight Sign Association is a mental process whereby the mind associates like things together to form an opinion or present itself in familiarity. This is an important concept when dealing with frequency in Riverside, CA. ; it is very crucial that your ad materials all match for the mental association process to take place. When companies and businesses use multiple versions of logos, is difficult for the mental process to associate those as the same company. Common mistakes are when someone has a print logo, different than the web logo, different from the logo used on apparel. Utilizing the same media multiple times; for example: if you’re running television commercials and your package allows for your commercial to be viewed at least three times within an episode or a radio station that plays your commercial three times within a predetermined time slot. Different media applications; for example: sending out flyers, followed by a radio commercial, followed by a television spot. The trick with using different media applications is that the multiple applications MUST intersect to the same demographic in order to work. While using different media applications is more effective (because it reaches a greater audience) it’s naturally the more expensive. In reality… Small businesses in Riverside, CA. (or anywhere really) simply can’t afford the billion-dollar budget that Lowe’s & Walmart have… So what’s the solution? Move your money around. Choose different media that have a decent Return On Investment (ROI) and use that multiple times to make sure that the frequency principle has been properly practiced. Then move to the next media. This process will, over a period of time, allow your product or service to be branded over a larger audience without necessarily killing the budget. Precision Sign and Graphics serves the citizens of Riverside, CA. by providing affordable sign and graphics solutions that help fit your budget. The vehicle wraps, banners and signs that we offer try to take in the principles of frequency to get you the best results with eye-catching graphics. 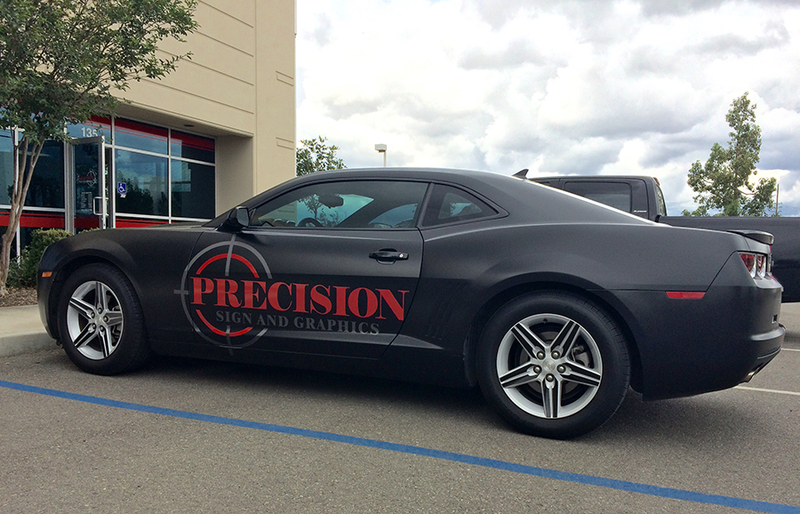 Vehicle wraps are a great opportunity to have your brand seen multiple times throughout the day. Add to that banners strategically positioned and yard signs directing them to your place of business to get a balanced frequency for a larger audience. 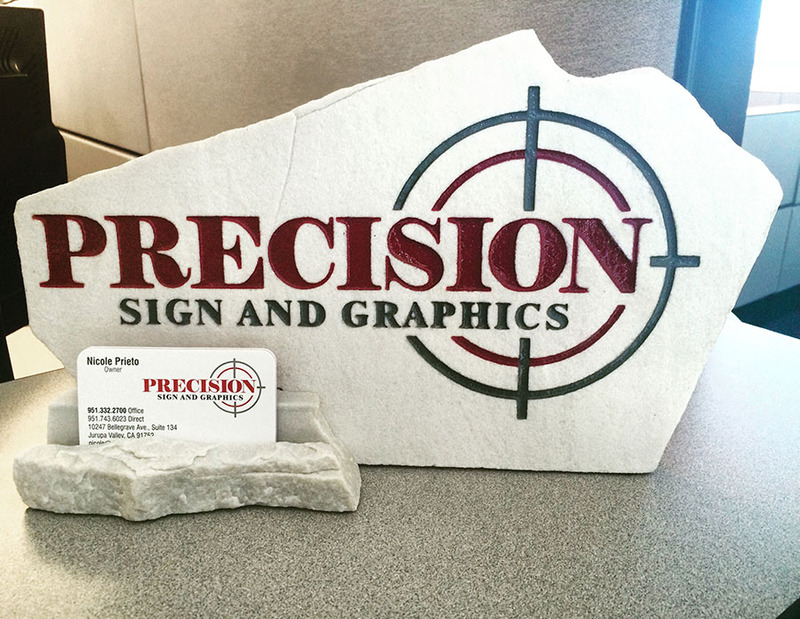 Let Precision Sign and Graphics quote your next project.